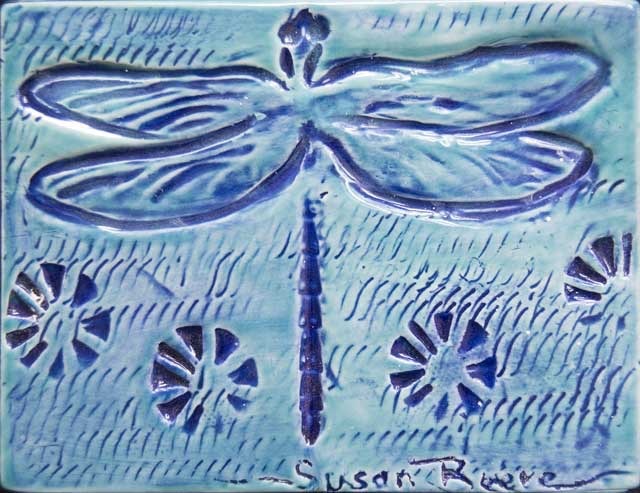 These are more traditional ceramic tiles, rectangular or square and usually not more than 9” on the longest dimension. 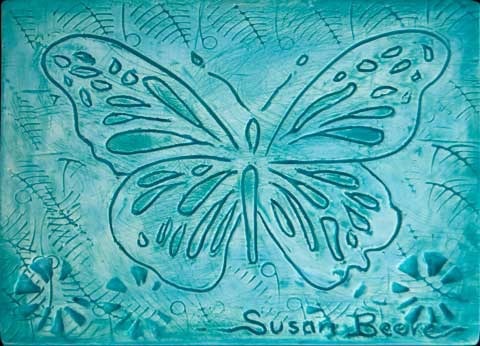 They can become part of a splash, frieze, surround, or wherever a focal point is desired. 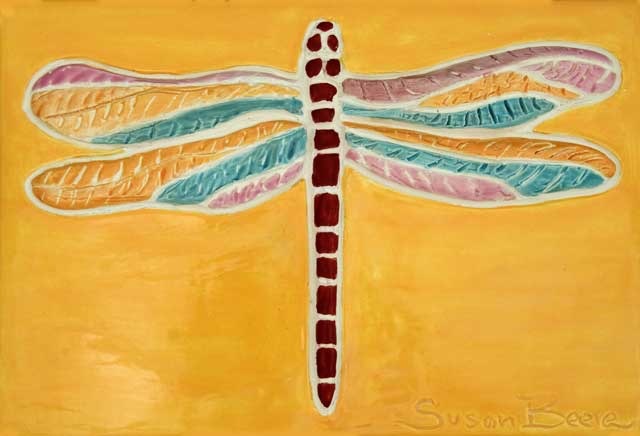 Also, they are frequently mounted for wall hanging. 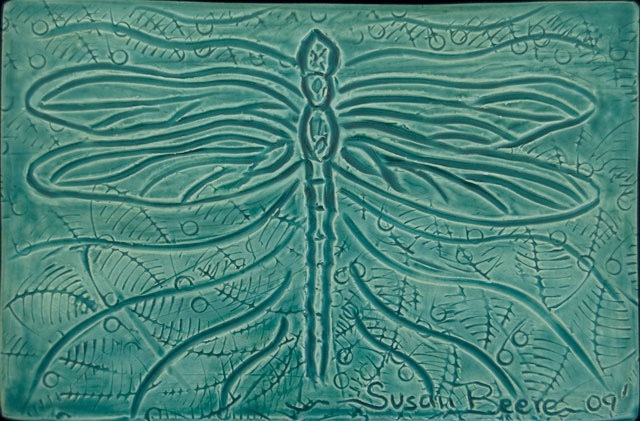 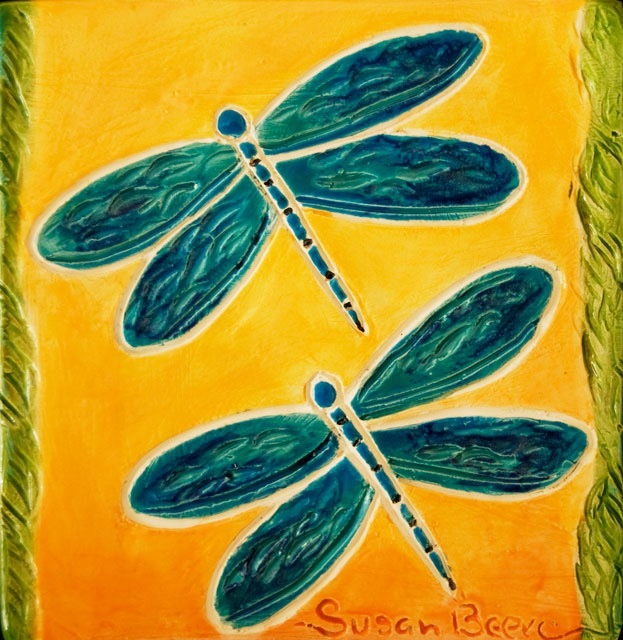 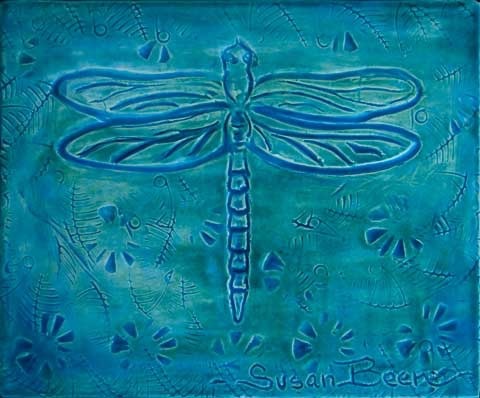 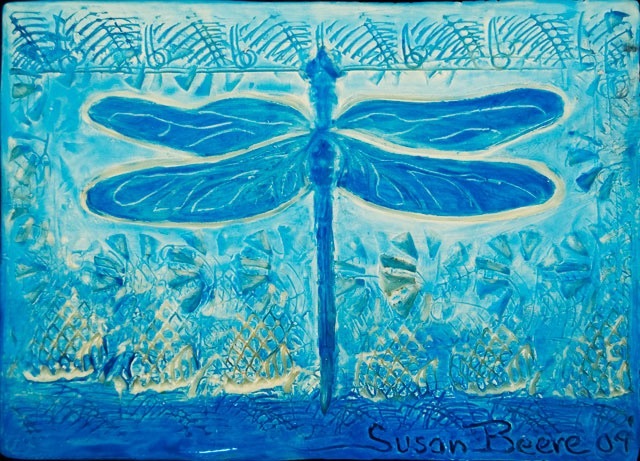 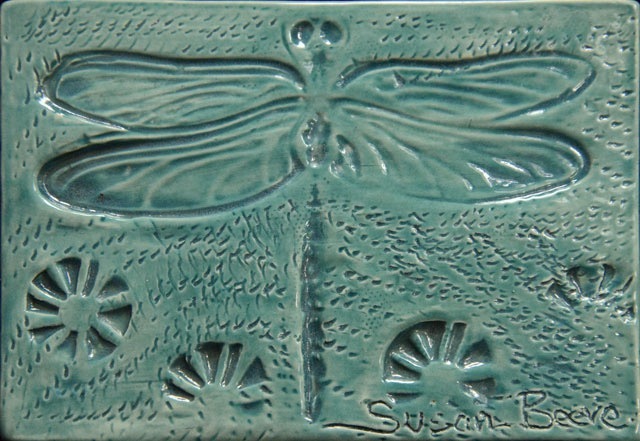 Clients have asked for variations on dragonfly, butterfly, floral, or abstract designs. 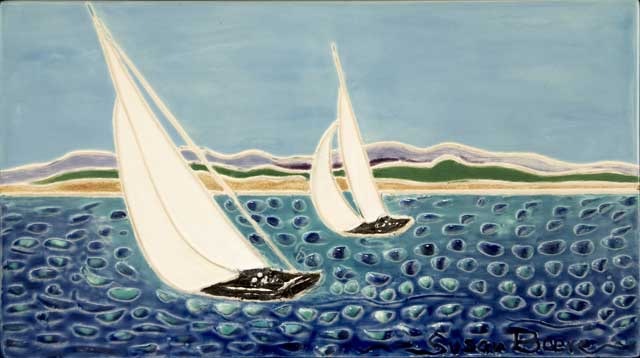 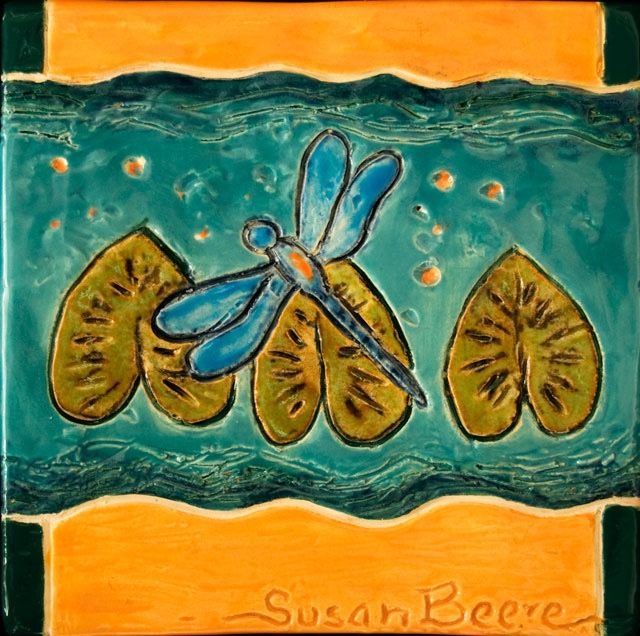 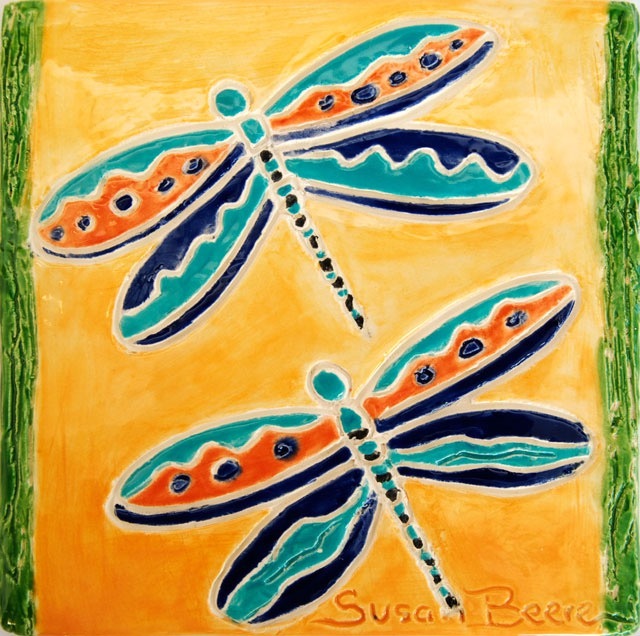 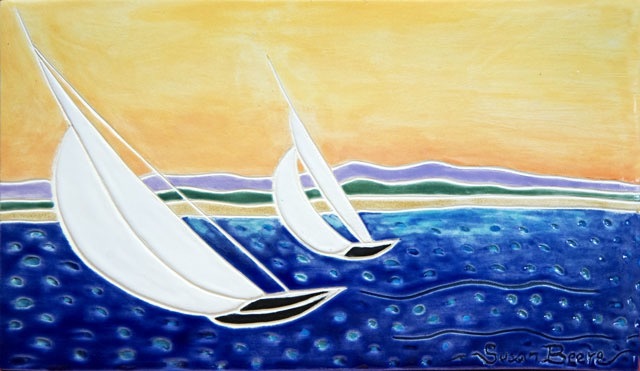 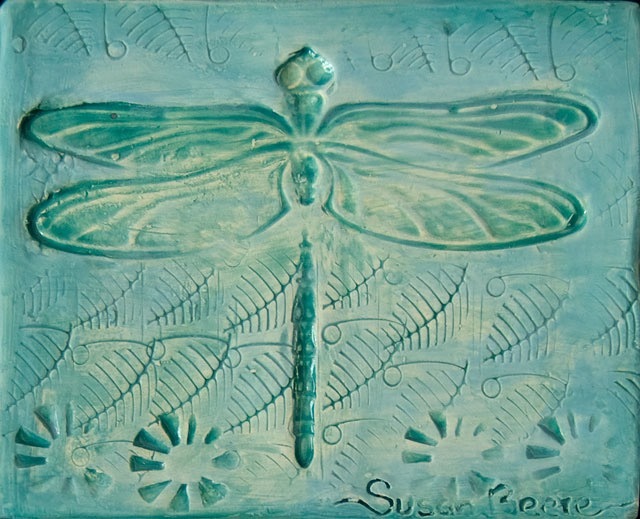 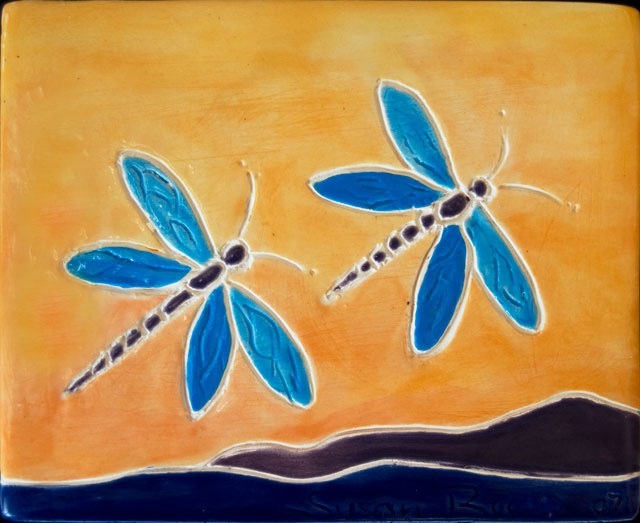 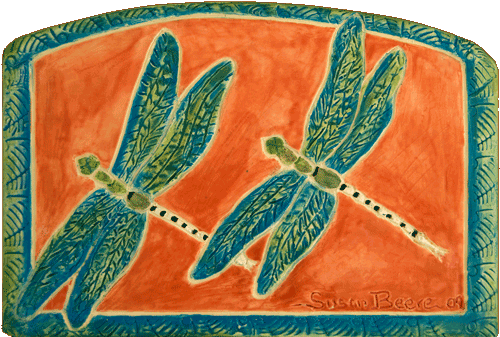 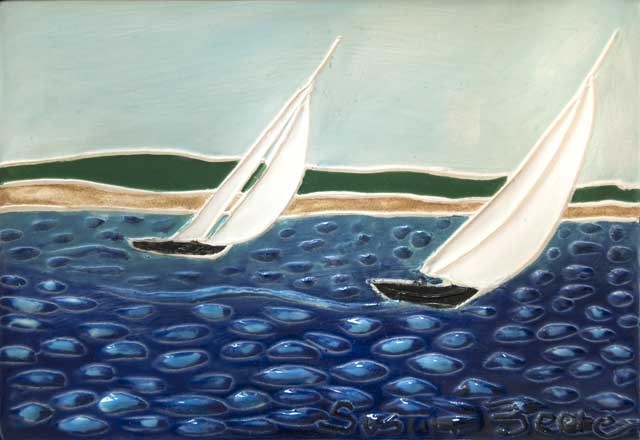 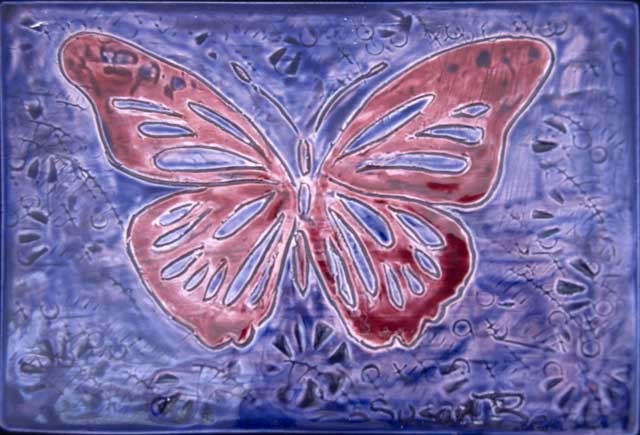 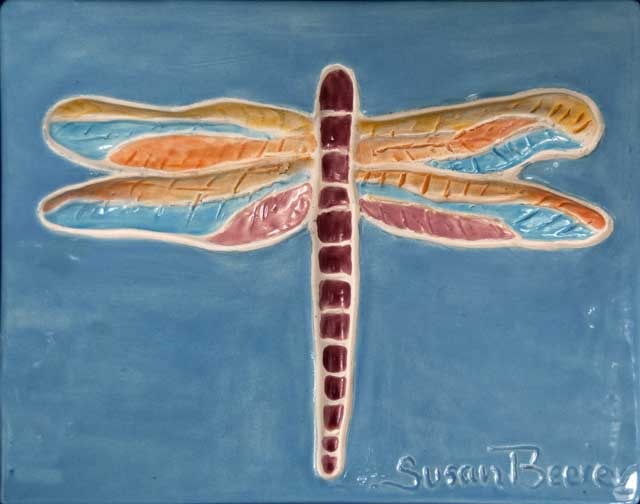 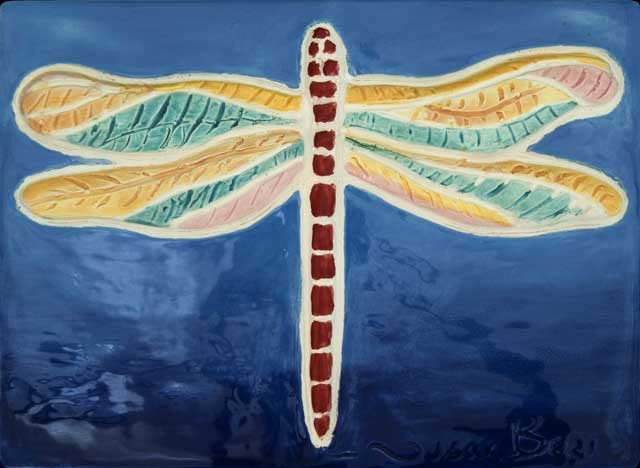 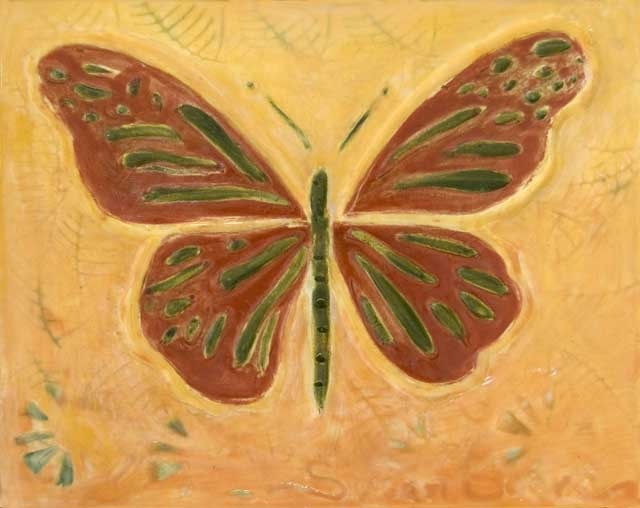 I am now working in series that can be duplicated: seashell ceramics, sailboat tiles, as well as birds, butterflies, dragonflies, and other animals. 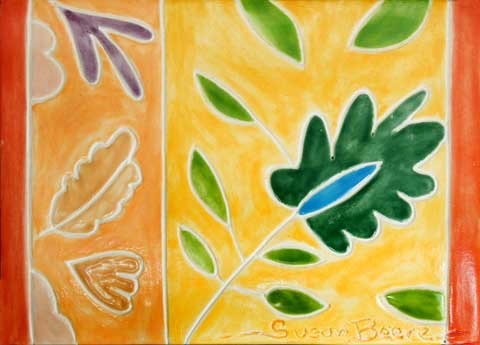 This is a departure from my usual one-of-a-kind work flow.